Our pies and savouries are made fresh everyday. 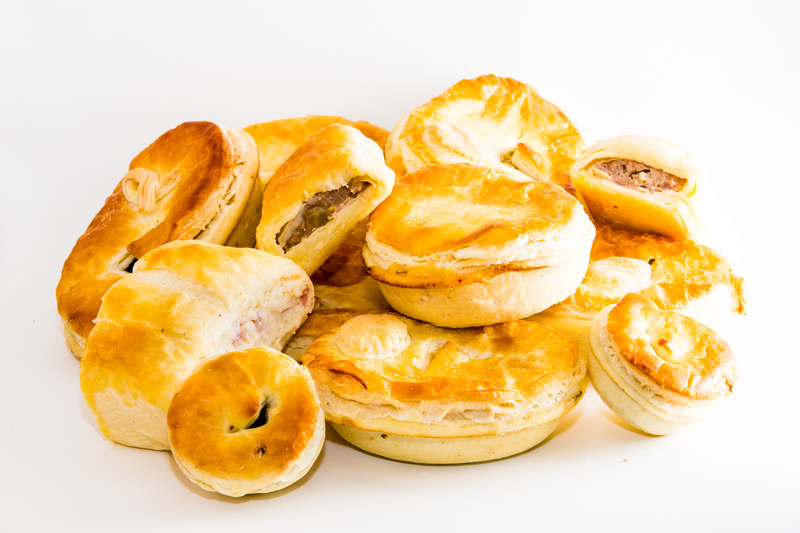 We stock all the most popular pies land have created a few new ones our customers love. We cater for all tastes with vegetarian options (Have you tried our "no-sausage" sausage roll!) , and specialist pies for discerning taste buds. Our rolls, sandwiches, bagels, and foccacia are made fresh every single morning, with a selection of meats, salads, pickles and sauces. We have have delicious gluten free options avaliable. You can be sure that we will have your favourite any day of the week for you to enjoy. Any left-overs are donated to out local food bank daily. Planning a party, a working lunch or a get-together? We can help you create the perfect menu for any occasion. 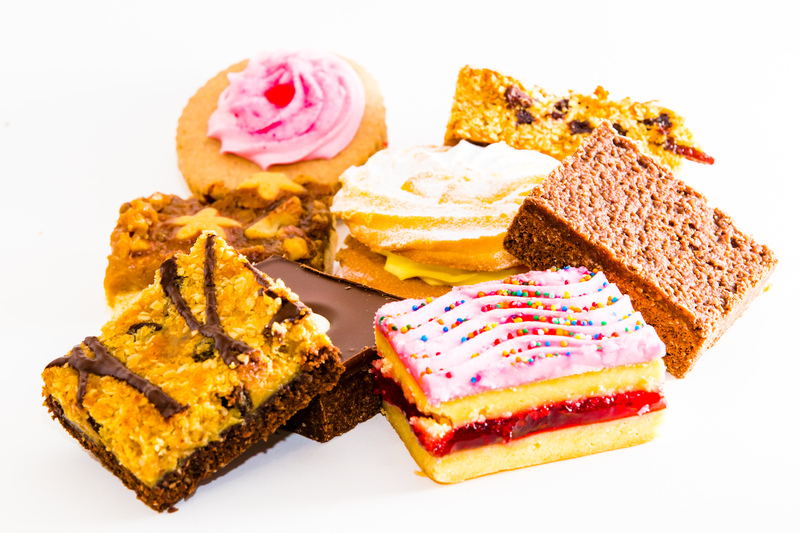 Our experienced staff can recommend delicious treats that will suite the occasion and everyone's taste buds. 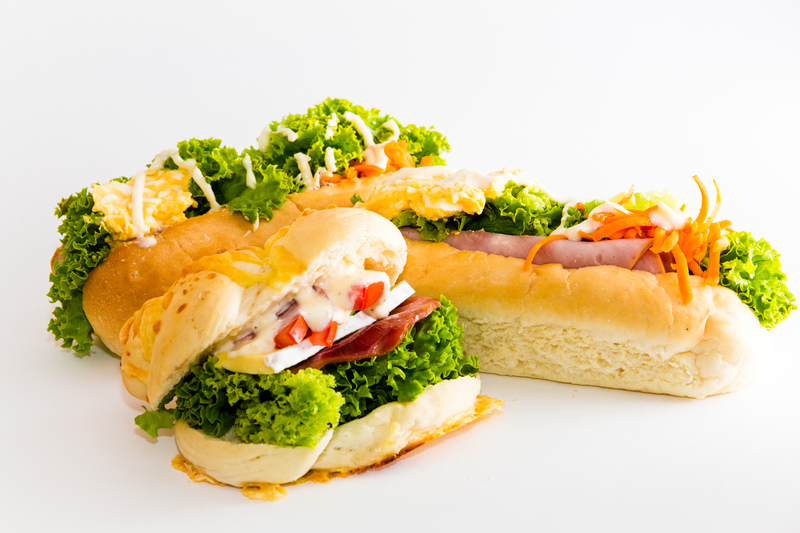 With hot platters that include mini pies, sausage rolls, and savouries, cold platters that include club sandwiches, tasty rolls, and buns, sweet platters with cakes, slices and doughnuts, and gluten free platters, you'll be enjoying a delicious, stress-free lunch any time, any where. We also offer lunch bags, complete with a sandwich, sweet treat and seasonal fruit. We make cakes to order for birthdays, Xmas or other special events. We can offer specialist cake decorating with our icing printer. Just bring in your photo or image and we can create an edible printed icing top for a cake of your size and choice.